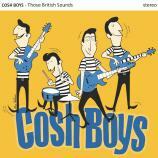 After 3 CDs, four EPs, one Single and some songs on compilation CDs here it is, the third longplay-album of the fabulous finnish Cosh Boys: Those British Sounds! The CD is a ripsnorter, not only the 12 brand new songs who make really fun, also a lot of bonus tracks on it, so nearly two albums on one CD! The bonus is two songs of the nearly sold out Motorcycle Gang EP, 3 songs of the nearly sold out Slow Times Comin' EP, the complete Sleazy Single Rock'n' Roll Is Here To Stay (2 songs), and Real Bad Boy from the various artists 4 CD box Slap That Bass! 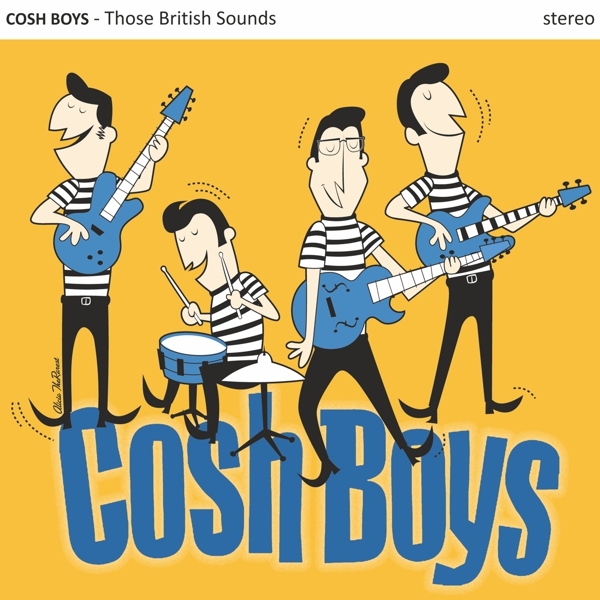 Altogether you have 20 songs, a time travel in the fifties and sixties, a lot of fun, and 48 minutes party and dance...don't miss it! Unser alter Preis 15,00 EUR, Sie sparen 2,00 EUR!